Not surprisingly observation at Crook Ness started early this morning. 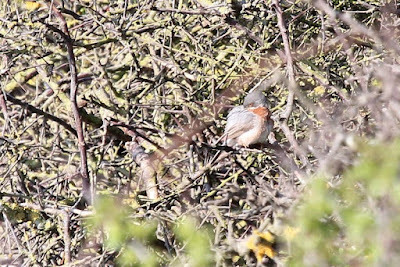 The Icterine Warbler showed first at 06.00 then again at 06.30 but it wasn’t until around 07.10 that the Eastern Subalpine Warbler revealed itself for the first time this morning. 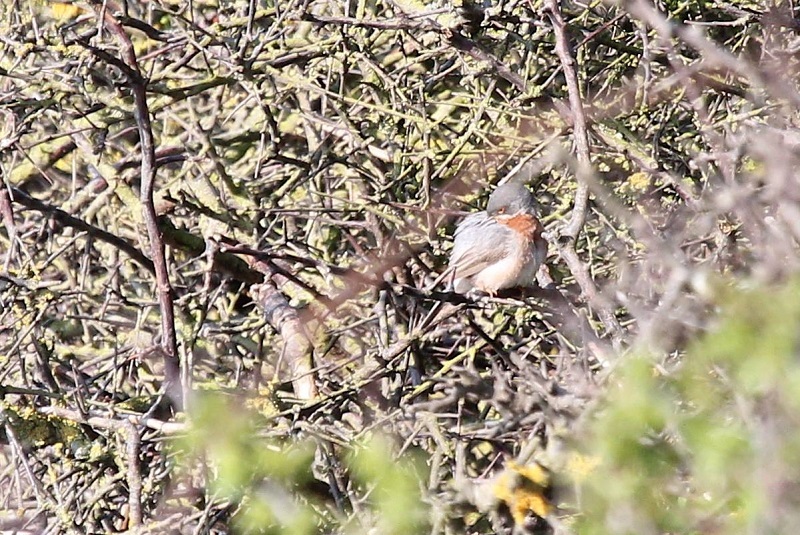 Both birds showed occasionally for most of the day and the Eastern Subalpine Warbler was even heard singing at times. 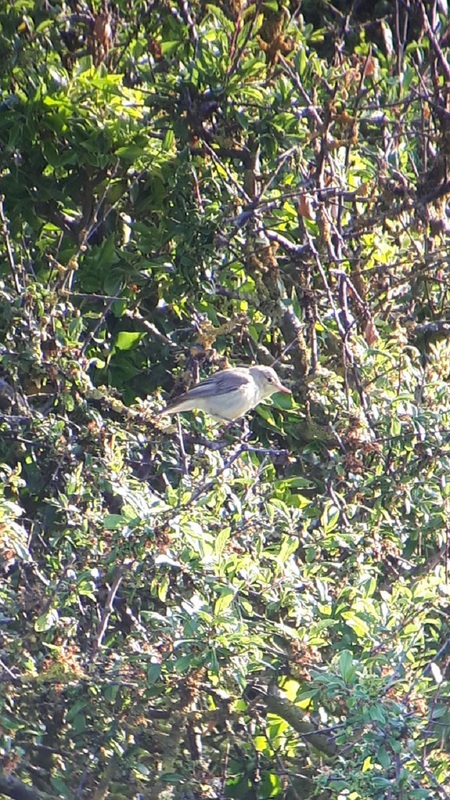 Other species recorded in the Long Nab area today included a male Redstart around the manure heap at Cliff Top House, a Honey Buzzard flew over to the west at 11.40, this evening a Spotted Flycatcher was at Cliff Top House and the Wheatear was still in the cover crop strip. Other sightings today included a Jay flying west over Crossgates; a Common Sandpiper on Rudda Road Flash and a Hobby flying north over Cornelian Bay at 13.05. Last but not least today 4 Nightjars were heard calling near the Falcon Inn late this evening.